The Yarn Barn is excited to be partnering with The National WWII Museum to provide hand-knit scarves to local Veterans. You can help by knitting a scarf and bringing it to the Yarn Barn. With each donation, you will receive a 15% off coupon that can be used to purchase any one non-sale yarn in stock. June 21 - July 8, 2019. 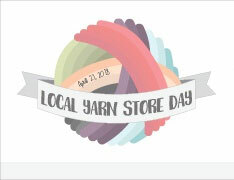 Join us for the second annual Local Yarn Shop Day! > Never seem before kits and yarns created especially for this day! Eleven local yarn shops located along I-91, from New Haven, CT to Putney, VT, and are teaming up to bring you fun, prizes, and plenty of fiber! 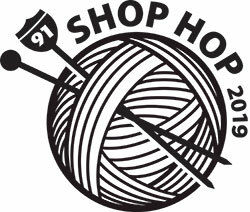 A shop hop is a fun way to visit new and interesting yarn shops in a defined geographical area. The I-91 Shop Hop will take place June 27–30th. All participating shops will be open from 10am–6pm on Thursday, Friday and Saturday and 12pm–5pm on Sunday. 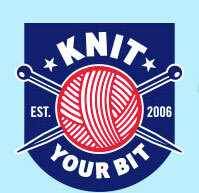 Knit with Friends every Wednesday! Come and join others in an informal gathering every Wednesday at 2:00pm. Stay as long as you like! The Shop Hop Calendar from 2016 is still available for purchase! Packed with inspirational designs from the twelve participating shops, you are sure to find the perfect project!